A few weeks ago the skies were clear and the sun was out, albeit the temperature being a little fresh - the perfect opportunity to get out into the garden. I was busy sowing lots of different seeds both flowers and vegetables, these are now settled into their seeds trays in the greenhouse. For the first time I will be growing some Dwarf Aster flowers in the garden this year, these were just some of the seeds I purchased from my local Wilkinson. 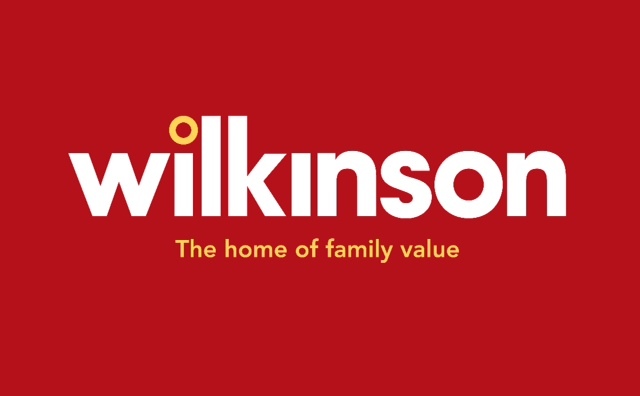 To help you prepare your garden Wilkinson are offering one lucky reader of Garden Tea Cakes and Me a £20 Wilkinson gift voucher. Wilkinson have a great selection of gardening tools and equipment, if you were the lucky winner what your you choose. Maybe one of their new ergonomically designed garden tools or lots of garden seeds or what about a growing kit for the children. Follow the instructions below and complete your entry using the Rafflecopter widget below. Entering a Rafflecopter giveaway is easy. Sign into the giveaway widget with either your Facebook account or your name and email address and follow the instructions. Once you've completed a task that's listed on the widget, you'll receive entries into the promotion. If you have problems seeing the Rafflecopter widget refresh this webpage, sometimes it can take a little while for it to appear. Disclosure - I would like to thank Wilkinson for donating the prize for this gardening giveaway. I would buy some hedge shears that I spotted in Wilkinsons today, along with tomato and pepper seeds. Some fruit bushes. Used to have loads of gooseberries, blackcurrants, raspberries etc, but no longer and we need some more. Would just love a special pair of secateurs, all mine are cheapies! buy a few more plants! A leaf rake - mine is broken! Well I'd start with a new watering can. Squee - gardening time, I love it so much! Gardening gloves so my hands would stop getting dirty! My garden needs some colours so I would pick plants too! I would buy a window box and some seeds so I can see lovely flowers growing everyday. I would buy a few more plants! Some hanging plants and a couple of baskets, mine look a bit on th rusty side now. I would buy some seeds and pots for the garden. solar lights, they look so pretty. Seed Trays - I never have enough! We have just started a veggie garden so I would look at buying some more products, possiblily tomatoes, parsnips & anything else that takes our fancy. I'd buy some seeds for my Raised bed. I could use a new fork and hoe, and I would love to grow some lavender. I think we are just about set for the year, would put this to a power washer. Save on scrubbing! I would put it towards one of their patio green houses. I'm determined to grow more of my own produce so I would spend it on Vegetable and Herb seeds. I would buy some new bulbs and herb seeds. I would get some seed compost and seeds for my allotment. I could really do with a mini greenhouse, please.